Naruto sleduje osudy chlapce, který je nenáviděn vesničany z Konoha. Nejde o to, že by se báli chlapce samotného, ale toho, co se skrývá uvnitř něj. S05E06: A Legend from the Hidden Leaf: The Onbaa! S05E11: The Byakugan Sees the Blind Spot! S05E12: Forecast: Death! Cloudy with Chance of Sun! S05E13: Ino Screams! Chubby Paradise! S05E14: Viva Dojo Challenge! Youth is All About Passion! 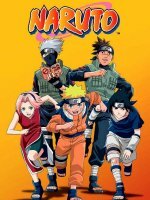 S05E18: Crisis: The Hidden Leaf 11 Gather! S05E23: The Top 5 Ninja Battles! S05E29: The Weight of the Prized Artifact! S05E39: Sealed Sand, The Counterattack!